Detroit Lions S Glover Quin reportedly would like a contract extension that would allow him to finish his career in Detroit. In 2016, Quin’s 82.1 overall grade ranked 23rd of 90 safeties that played at least 330 snaps. His coverage grade of 81.1 ranked 21st. 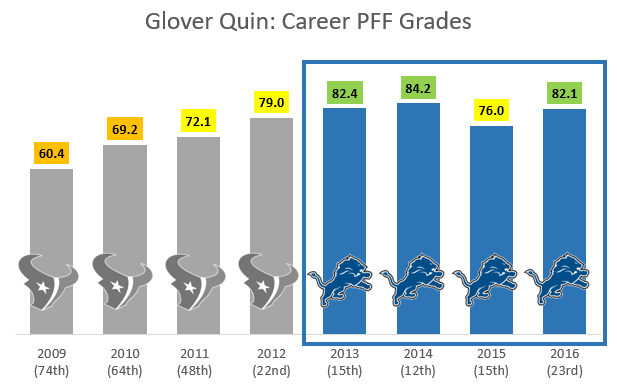 Quin has graded in the top 25 of his position three out of his four years in Detroit including a career best 12th in 2014 (84.2).